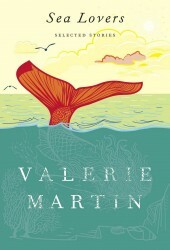 For four decades Valerie Martin has been publishing novels and stories that demonstrate her incredible range as a writer, moving between realism and fantasy while employing a voice that is at once whimsical and tragic. The twelve stories in this collection showcase Martin’s enviable control, precision, and grace and are organized around her three fictional obsessions—the natural world, the artistic sphere, and stunning transformations. In “The Change,” a journalist watches his menopausal wife, an engraver, create some of her eeriest and most affecting works even as she seems to be willfully destroying their marriage. In “The Open Door,” an American poet in Rome finds herself forced to choose between her lover and a world so alien it takes her voice away. “Sea Lovers” conjures up a hideous mermaid whose fatal seduction of a fisherman provides better reason than Jaws for staying out of the water. In “The Incident at Villedeau” a respected gentleman confesses to killing his wife’s former lover, an event that could be construed as an accident, an impulsive act, or a premeditated crime. Exploring themes of obsession, justice, passion, and duplicity, these drolly macabre stories buzz with tension.